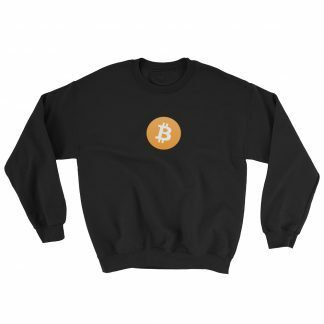 If you’re a fan of Bitcoin and want to show off your Bitcoin swag, then there’s no better way to do it than by buying themed merch. 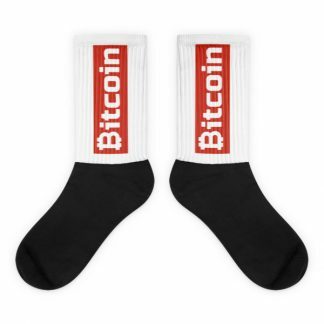 Our website has a wide collection of unique Bitcoin products that are bound to arouse envy in your friends. Complete the look with our collection of Bitcoin-themed socks that are as good-looking as they are comfortable. Need to spruce up the room? 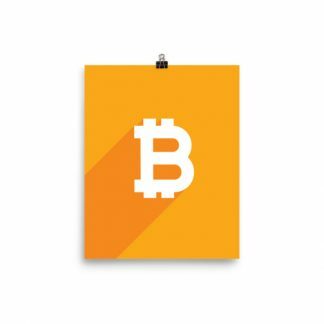 Why not go ahead and choose from a range of posters, ranging from minimalist designs to downright funky! 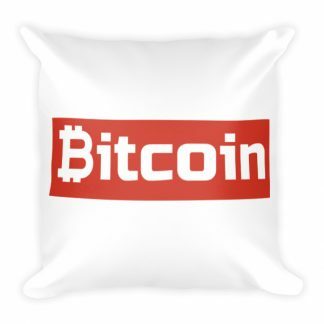 Also, check out the Bitcoin-themed pillow that’s guaranteed to give you sweet dreams at night. Err…dreams of Bitcoin’s late 2017 rise much? Fancy some toiletry? 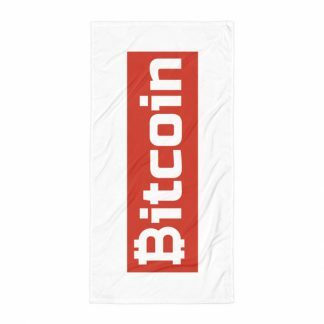 Get the Bold Bitcoin Towel not just for yourself, but for the whole family to dry themselves off. And when guests come over and ask about those towels, you just might get a chance to introduce someone to this fascinating world. 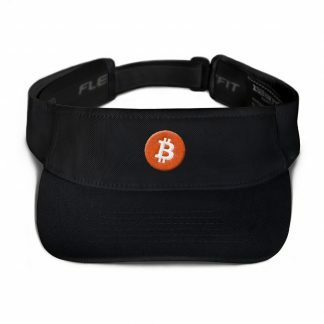 Buying Bitcoin Merchandise has never been easier and worth it than how it is today. Go ahead and try something out! 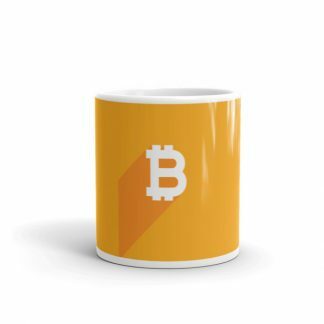 To put it very simply, Bitcoin is one of the internet’s version of money. A method of paying for things. 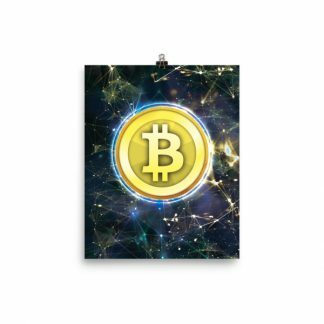 It is, at its core, a “crypto-currency” that comprises of a cryptographic protocol that creates unique pieces of digital property that can be freely exchanged with one another. 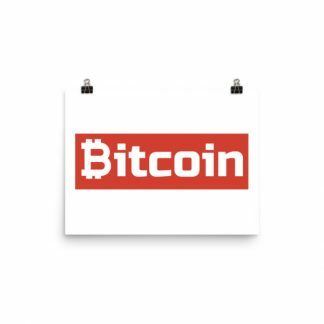 Bitcoin is a decentralized virtual currency that has no existence in the physical world, nor is it controlled by the central bank or any government. 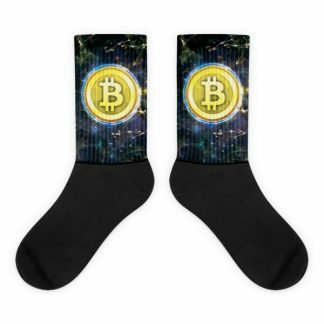 As a crypto-currency, it is secure, anonymous and can be accessed by anyone with an internet connection. 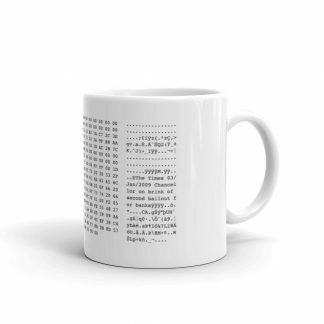 Well, Bitcoin may not be the easiest thing to understand, but it is worth understanding. 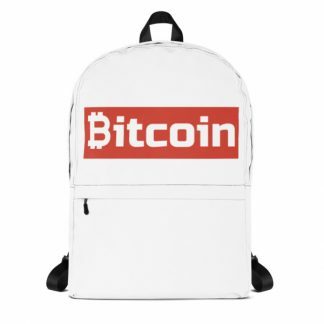 Bitcoin undoubtedly has pretty significant implications on how we could do business both online and offline in the future. 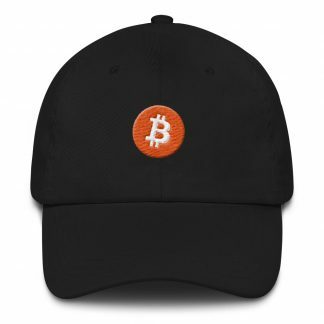 Imagine this: you want to buy Bitcoin merchandise online. Great! Now instead of using a credit card, you use Bitcoins to pay for it. 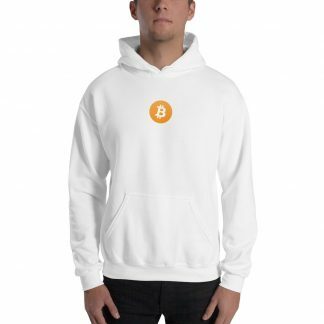 Since it is a decentralized, digital currency, the transaction will be just between you and the vendor selling Bitcoin apparel. There’s nobody in the middle. No bank or any other third-party. No bank means no transaction fees, and no bank transaction fees mean money saved! You send Bitcoins using your phone, and the amount gets transferred instantly through the secure blockchain network. 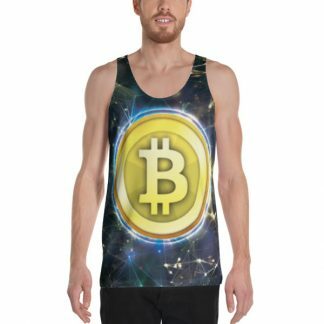 The purpose of Bitcoin or any cryptocurrency for that matter is to give you the power to make frictionless financial transactions without needing intermediaries or government regulation.